Over the last three years, Samsung has become one of the most dominant players in the SSD industry. Samsung's strategy has been tight vertical integration ever since the beginning, which gives Samsung the ability to be in the forefront of new technologies. That is a massive advantage because ultimately all the parts need to be designed and optimized to work properly together. 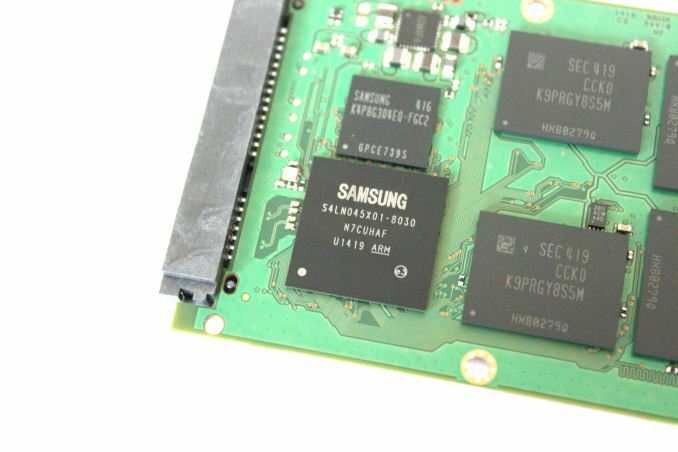 The first fruit of Samsung's vertical integration was the SSD 840, which was the first mass produced SSD to utilize TLC NAND and gave Samsung a substantial cost advantage. 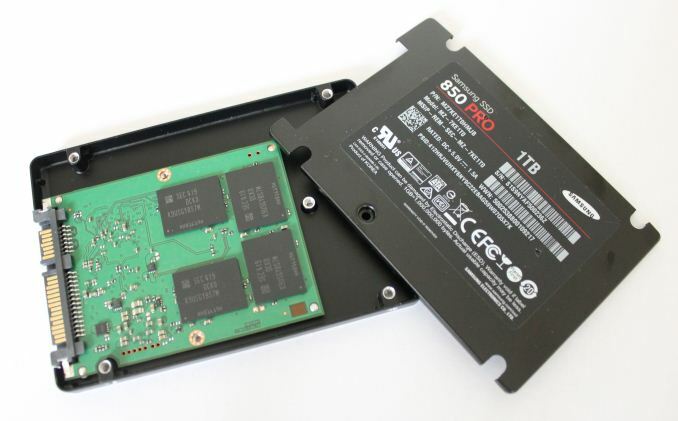 Even today, the SSD 840 and its successor, the 840 EVO, are still the only TLC NAND based SSDs shipping in high volume. 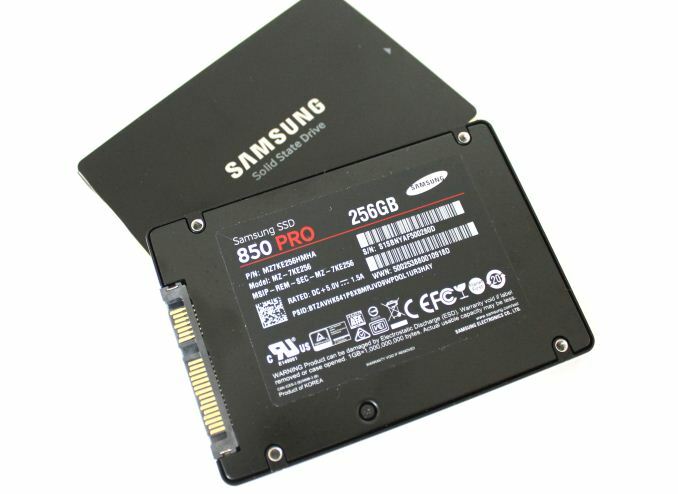 Now, two years later, Samsung is doing it again with the introduction of the SSD 850 Pro, the world's first consumer SSD with 3D NAND. For years it has been known that the scalability of traditional NAND is coming to an end. Every die shrink has been more difficult than the previous as the endurance and performance have decreased with every node, making it less and less efficient to scale the size down. Scaling below 20nm was seemed as a major obstacle but the industry was able to cross that with some clever innovations in the NAND design. However, the magic hat is now running out of tricks and a more signficant change to the NAND design is required to keep scaling the cost. The present solution to the scalability problem is 3D NAND, or V-NAND as Samsung calls it. Traditionally NAND and other semiconductors are scaled horizontally along the X and Y axes but due to the laws of physics, there is a limit of how small the transistors can be made. To solve the problem, 3D NAND introduces a Z-axis i.e. a vertical dimension. Instead of cramming transistors horizontally closer and closer to each other, 3D NAND stacks layers of transistors on top of each other. I will be going through the structure and characteristics of 3D NAND in detail over the next few pages. By stacking transistors (i.e. cells when speaking about NAND) vertically, Samsung is able to relax the process node back to a much more convenient 40nm. When there are 32 cells on top of each other, it is obvious that there is no need for a 10nm-class node because the stacking increases the density, allowing production costs to scale lower. As we have seen with the history of NAND die shrinks, a higher process node provides more endurance and higher performance, which is what the 850 Pro and V-NAND is all about. Fundamentally the only change in the 850 Pro is the switch to V-NAND. The interface is still SATA 6Gbps and the controller is the same triple-core MEX from the 840 EVO, although I am still waiting to hear back from Samsung whether the clock speed is the same 400MHz. The firmware, on the other hand, has gone through a massive overhaul to adopt the characteristics of V-NAND. With shorter read, program and erase latencies and higher endurance, the firmware needs to be properly optimized or otherwise the full benefits of V-NAND cannot be utilized. I bet many of you would have liked to see the 850 Pro move to the PCIe interface but I understand Samsung's decision to hold off with PCIe for a little while longer. The market for aftermarket PCIe SSDs is still relatively small as the PC industry is figuring out how to adopt the new interface, so for the time being Samsung is fine with watching from the side. The XP941 is and will continue to be available to the PC OEMs but for now Samsung will be keeping it that way. From what I have heard, Samsung could bring the XP941 to the retail market rather quickly if needed but Samsung has always been more interested in the high volume mainstream market instead of playing in the niches. The performance figures in the table above give us the first glimpse of what V-NAND is capable of. Typically modern 128GB SSDs are only good for about 300MB/s but the 850 Pro is very close to saturating the SATA 6Gbps bus even at the smallest capacity. This is due to the much lower program times of V-NAND because write performance has been bound by NAND performance for quite some time now. The other major improvement from V-NAND is the endurance. All capacities, including the smallest 128GB, are rated at 150TB, which is noticeably higher than what any other consumer-grade SSD offers. Moreover, Samsung told me that the endurance figure is mainly meant to separate the 850 Pro from the enterprise drives to guide enterprise clients to the more appropriate (and expensive) drives as the 850 Pro does not have power loss protection or end-to-end data protection for example. However, I was told that the warranty is not automatically denied if 150TB is reached under a client workload. In fact, Samsung said that they have a 128GB 850 Pro in their internal testing with over eight petabytes (that is 8,000TB) of writes and the drive still keeps going, so I tip my hat to the person who is able to wear out an 850 Pro in a client environment during my lifetime. Another interesting aspect of V-NAND is its odd capacity per die. 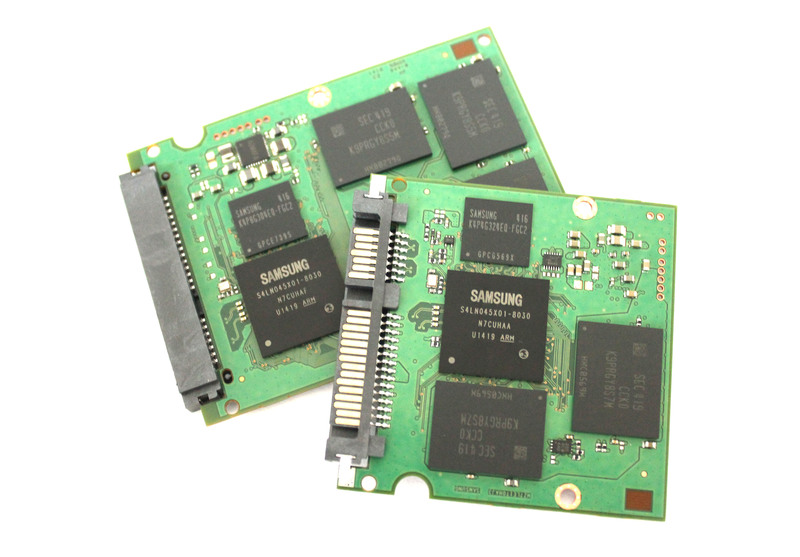 Traditionally NAND capacies have come in powers of two, such as 64Gbit and 128Gbit, but with V-NAND Samsung is putting an end to that trend. The second generation 32-layer V-NAND comes in at 86Gbit or 10.75GB if you prefer the gigabyte form. I will be covering the reason behind that in more detail when we look at V-NAND more closely in the next few pages but as far as I know there has never been a strict rule as to why the capacities have scaled in powers of two. I believe it is just a relic from the old days that has stayed in the memory industry because deep down binary is based on powers of two but the abnormal die capacity should have no effect on the operation of the NAND or the SSD as long as everything is optimized for it. Due to the odd die capacity, the die configurations are also quite unusual. I found two different capacity packages inside my review samples and with Samsung’s NAND part decoder I was able to figure out the die configurations for each capacity. Unfortunately, Samsung did not send us the 512GB model and I could not get the 128GB model open as Samsung uses pentalobe Torx screws and I managed to wear out the screw while trying to open it with an inappropriate screw driver (it worked for the other models, though), so thus there are question marks at those capacities in the table. However, this should not impact the raw NAND capacities as long as all capacities follow the same 7.6% over-provisioning trend but the package configurations may be different. I will provide an update once I receive a confirmation from Samsung regarding the exact configurations for each capacity. The 850 Pro also switches to smaller PCB designs. The PCB in the 1TB model populates around two thirds of the area of the chassis, while the 256GB PCB comes in at even smaller size. The reason for the different PCB sizes is the amount of NAND packages as the 256GB only has four, whereas to achieve the capacity of 1TB eight NAND packages are required. Someone just tipped me that V-NAND in Samsung 850 Pro is actually TLC not MLC. The first reason is the 86Gbit/die number is odd, if 850 Pro uses a TLC 128Gbit/die and emulates it to MLC then it would be 86Gbit/die, the numbers fit well. I'm just the messenger here, I'm not expert. Samsung is using 40nm over Micron's 16nm. Doing the math implies that for every 2.5 16nm Micron nodes in planar section, Samsung only does 1 40nm node. If we scale vertically to 32 layers, then Micron (or others for that matter) still do only 2.5 nodes for every 32 nodes of Samsung. Which means for every 16nm node, Samsung provides 12.8 nodes. Meaning the density scaling factor for every 32 layer increments is a multiple of 12.8. Assuming the current die size for 32 layers to be 128Gbit, then the density advantage for 256Gbit is 12.8x2 times, 512Gbit is 12.8x4 times and for 1Tbit in 2017 should be 12.8x8 times for 256 layers of nodes stacked on top of each other. So the density advantage is approximately 102.4% (theoretically). Samsung can theoretically produce a 1Tbit die at a cost advantage/space advantage of nearly 100 times compared to planar and manufacturers. It is almost like you are able to earn 100 times the profit for the same die provided the cost per bit is scaled along without passing on the price advantage to the end users until other players enter 3D market.